Dewan Bahasa dan Pustaka (DBP), which in English is the Institute of Language and Literature, is the government body responsible for monitoring the use of Bahasa Malaysia, the national language of Malaysia. DBP was established in Johore Bahru in June 1956, just over a year before Independence, initially under the wing of the Ministry of Education. It later moved to Kuala Lumpur with dedicated premises on the Old Airport Road, since renamed Jalan Dewan Bahasa. The aim of the institute is to spread usage of the language, standardise spelling and approve new words into its official vocabulary. It also publishes books in Bahasa including Kamus Dewan, the authoritative dictionary of the Malaysian language. A language has to evolve and keep up with the times to remain relevant, especially in this era when knowledge of English is so widespread. DPB is constantly coining new words particularly in the fields of science, medicine and technology where no words existed in traditional Malay. Tunafoto. This means Photobomb. Tuna can be translated as ‘flawed’ so a tunafoto is a spoiled photo due to photobombing. Kata Pikat. This means Pick-Up Line. Sohor Kini. This means Trending. I wonder whether these terms will catch on. Even the English terms are faddish and informal and may not last the test of time. Good luck with remembering those in your science exam! 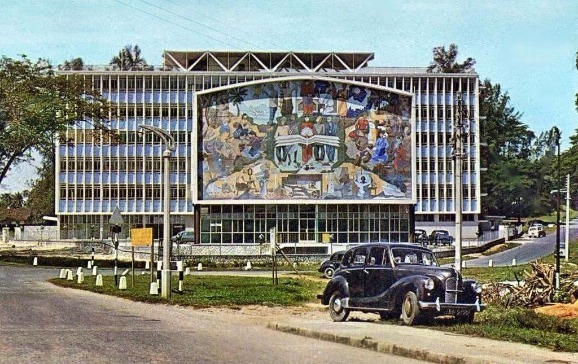 Dewan Bahasa in the 1960s. 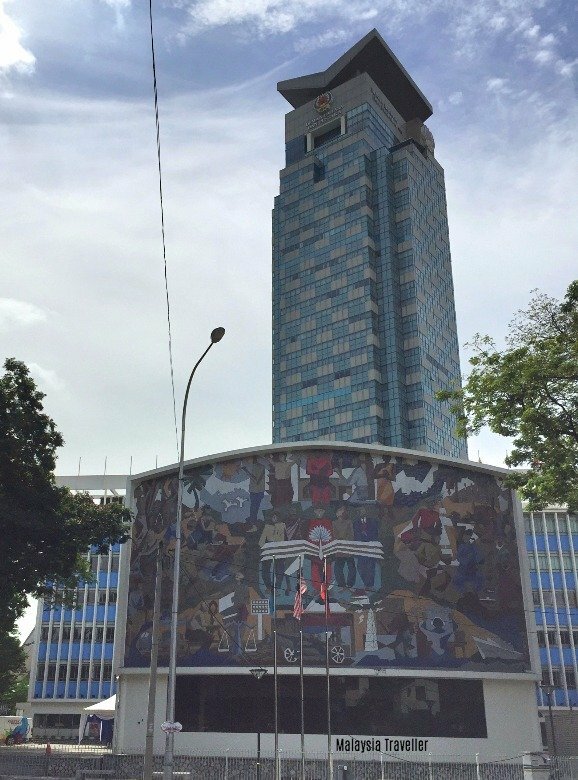 The original building on this site in KL was constructed from 1960-62. It was designed in modernism style by local architect Mr. Lee Yoon Thim. 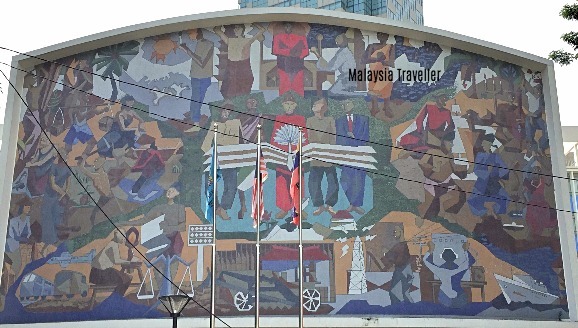 It features an impressive mural created in mosaic tiles based on a painting by Ismail bin Mustam in 1961. The mural was restored and repaired recently (completed in 2017). A modern tower block stands adjacent to the original building. The roof is designed to resemble an open book.